You already know your body needs macronutrients, protein, carbohydrates, and fat, the energy components of food. On a smaller scale, your body also needs micronutrients to support processing of that energy as well as the multitude of chemical reactions that take place in every cell. Think of micronutrients as the support system for your cells. They help your cells maximize energy production and help keep every cell and tissue in your body healthy. While you need them in smaller amounts, let’s not underestimate their importance. A deficiency in these compounds may play a role in a number of diseases, including increasing the risk of cancer. Risk Of Cancer: What Are Micronutrients? Micronutrients are essentially vitamins and minerals. You need them to support a variety of cellular functions, including energy metabolism and for communications between cells. A deficiency in one or more micronutrients can have serious consequences, ranging from serious illness to death. For example, the leading preventable cause of childhood blindness in the world is a deficiency of vitamin A. However, there’s also some evidence that less obvious deficiencies in one or more micronutrients may contribute to the risk of some health problems, including cancer. Risk Of Cancer: What Role Do Micronutrients Play in Cancer Prevention? Micronutrients play a variety of roles in keeping cells healthy. For example, vitamins A, D, E, and K are antioxidants that help reduce cell-damaging oxidative stress. By quenching free radicals, they protect the genetic material inside cells and cell membranes against oxidative damage. Also concerning is the fact that deficiency of some micronutrients, vitamin B6, folic acid, vitamin B23, vitamin C, vitamin E, zinc, and iron, actually cause DNA damage. This damage mimics the effects of radiation on cells, leading to breaks in DNA, the genetic material inside cells. As you know, radiation exposure increases the risk of cancer and if micronutrient deficiencies affect DNA similarly, it’s possible that they do too. DNA is a cell’s genetic “roadmap” for making proteins. When DNA is damaged, it alters the proteins the cell makes and disrupts the cell’s control mechanisms that keep cell growth in check. Without these controls, cells can grow unchecked. As you can imagine, this isn’t a healthy state and can ultimately lead to cancer. Plus, micronutrients, especially vitamin C, iron, and zinc, support immune health, your body’s defense against cancer and infections. In reality, the DNA inside your cells is constantly damaged. According to one estimation, DNA is subject to around 800 damaging hits each day. Fortunately, your cells have the means to repair this damage and micronutrients support these cellular repair pathways. However, when you constantly expose your body to toxins that increase DNA damage, such as air pollution, cigarette smoke, etc., the requirement for cell-supportive micronutrients rises because cellular repair is working overtime. Is there evidence to support the idea that micronutrients can protect against cancer? The air that we breathe in is becoming increasingly polluted, and fine-particle air pollution is linked with a higher risk of cancer and heart disease. Such tiny particles can easily be sucked into the lungs and deposit inside the tissues where they trigger oxidative stress and inflammation. Some research shows that higher levels of B-vitamins protect against this damage. Although more research is needed, it’s interesting that something as simple as consuming more B vitamins could protect against environmental assaults. We need this type of protection since the World Health Organization states that 92% of people worldwide live in areas with air quality below the limits set. Indoor air pollution is a problem too. Homes can harbor mold, radon, and gases given off by carpeting, flame-retardant bedding, and more. Plus, the chemicals we spray in our homes may be problematic as well. If micronutrients are important for lowering the risk of cancer, how can you optimize the amount you take in? For one, eat a varied diet with an emphasis on fruits and vegetables, an abundant source of micronutrients. Unfortunately, there isn’t a single food or group of foods that can supply all the micronutrients your body needs. For example, plant-based foods don’t contain vitamin B12. If you eat an exclusively plant-based diet, you need a vitamin B12 supplement to make up for the shortfall. Why not just take supplements? Supplements don’t always have the same effects as micronutrients in food. Some studies show that taking isolated micronutrients may actually increase the risk of certain cancers in particular situations. For example, a study found a link in men between vitamin E supplements and a higher risk of prostate cancer. Beta-carotene supplements in smokers were associated with a greater risk of lung cancer. 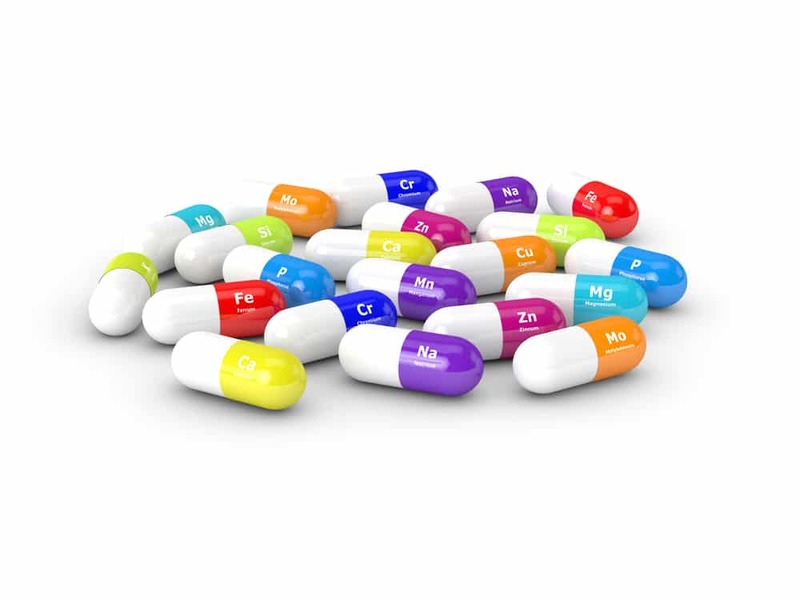 So, supplements aren’t necessarily the solution, unless you have a medical condition that can benefit from high doses of a particular micronutrient or you eat a diet that’s deficient in micronutrients. This raises the question of how much of each micronutrient do you really need? The quantity needed to prevent deficiency may be different from the amount that’s optimal for lowering the risk of cancer and other health problems and optimizing health. The best solution, until more is known, is to eat a diversity of nutrient-dense foods and be aware of the nutrients you might not be getting if you eat a restricted diet. Choose a variety of colors. Not only do they look prettier on your plate but you’ll get a wider array of vitamins and minerals. Also, be aware that the micronutrient content of fruits and vegetables is lower than it used to be due to soil depletion. When you store fruits and vegetables for a long period of time or expose them to high heat and water, they lose some of their vitamins, particularly thiamin and vitamin C. Also, buy locally, whenever possible, and if you can’t use it in a day or two, stick to frozen vegetables. Once vegetables are frozen, it stops further micronutrient loss and you can store them for longer periods of time. Eur J Nutr. 2012 Apr;51(3):261-79. doi: 10.1007/s00394-012-0318-4. Epub 2012 Feb 24. PNAS. Vol. 114 no. 13 Jia Zhong, 3503–3508, doi: 10.1073/pnas.1618545114. Clin Nutr. 2006 Feb;25(1):1-13. Epub 2006 Jan 10. What Should You Eat to Lower Your Risk of Colon Cancer?